The World of Threads Festival has been interviewing local, national and international fibre artists to create a comprehensive archive of the most exciting fibre artists in the world. Read their recent interview with Robin Wiltse here. 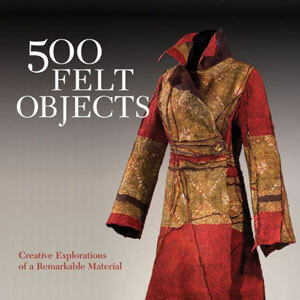 Recently a felting of Robin’s was included in the latest book of the popular “500 Series”. From garments to carpets to vessels, from home decor to installations, 500 Felt Objects is an impressive, flagship display of masterful felt creations. This very diverse collection honours the work of traditional fibre artists side-by-side with avant-garde designers and a broad range of styles, colours and forms help reveal felt’s full potential. The pieces, which include a broad range of styles, colours and forms, are a constant surprise and delight. 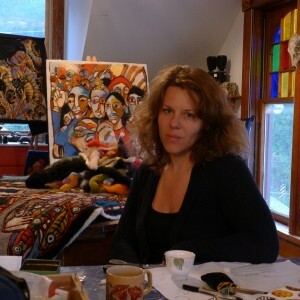 Juror Susan Brown lives in New York and is the associate curator of textiles at Cooper-Hewitt, National Design Museum. She curated the exhibition “Fashioning Felt” and has written and lectured extensively on the topic. She also co-curated “Quicktakes: Rodarte” with Gregory Krum; “Color Moves: Art and Fashion by Sonia Delaunay”; and “Extreme Textiles: Designing for High Performance with Matilda McQuaid.” She teaches in the School of Art and Design History and Theory, Parsons The New School for Design, as well as lecturing regularly for the Institute of Fine Arts at NYU. Before joining the Museum, she worked as a costume designer for theater, opera, and television.